Been wanting to try CAO Cigars but don’t want to commit to just one cigar? 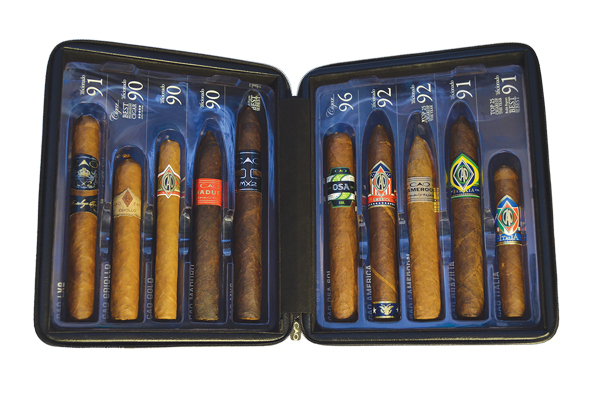 You now can try a variety of CAO cigars in one of the many new sampler packs being released. The CAO World Sampler is a special collection of cigars that feature the unique flavors of four different countries. Indulge in spicy Brazilian tobacco, rare Italian leaf, smooth Connecticut Maduro and exotic Colombian tobacco. The CAO World Sampler includes many CAO favorites including the CAO Brazilia Gol!, Italia Ciao, America Potomac and Colombia Vallenato. This four-cigar collection is available for $21.99 per pack. 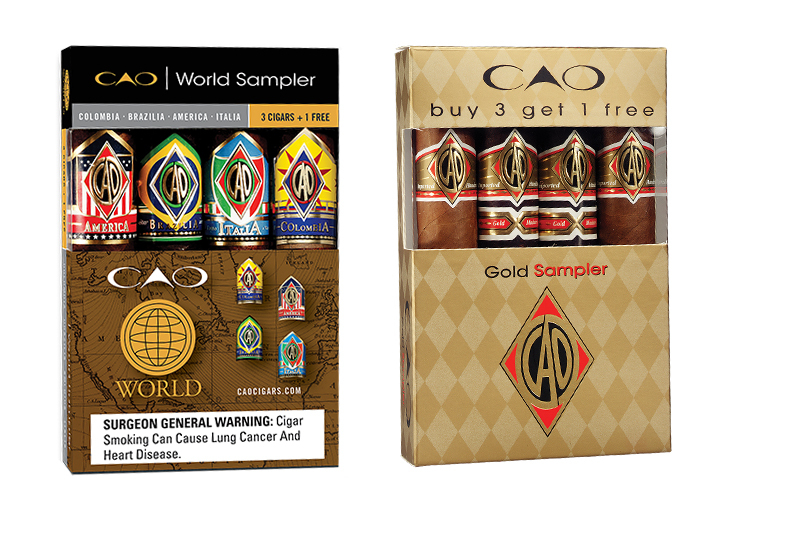 The CAO Gold Sampler is a combo pack containing CAO Gold and CAO Gold Maduro, two cigars that offer the palate two different experiences. The CAO Gold is a more mellow smoke while the CAO Gold Maduro is a bit spicy. This sampler collection contains four cigars and has an MSRP of $19.99. flavours by CAO features six petit corona cigars from CAO’s flavor-infused collection. These cigars are mostly mild, subtle and natural tasting. 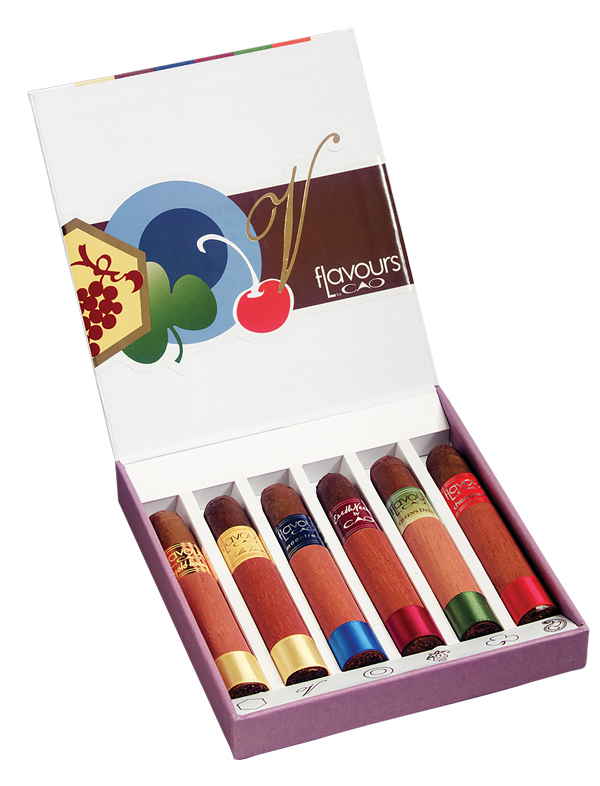 The flavours sampler contains six different cigars with an MSRP of $29.99. The CAO Champions II Sampler includes OSA Sol and LX2 and the best blends from the original Champions Sampler collection. Packaged in an attractive black leather travel humidor, these powerhouse cigars have an MSRP of $89.99. 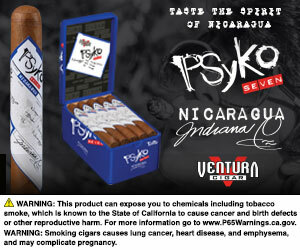 For all the latest news from CAO Cigars, visit caocigars.com.